I just made it home from the season end-er ride for my bike club. We rode from Banff to Lake Louise and back. Total distance on my odometer was 114.6 km. The ride time was just a hair under 4 hours and my legs are jello, I feel totally wasted. my average speed was around 28 KPH, which is not bad considering the hills and elevation change we took on today. 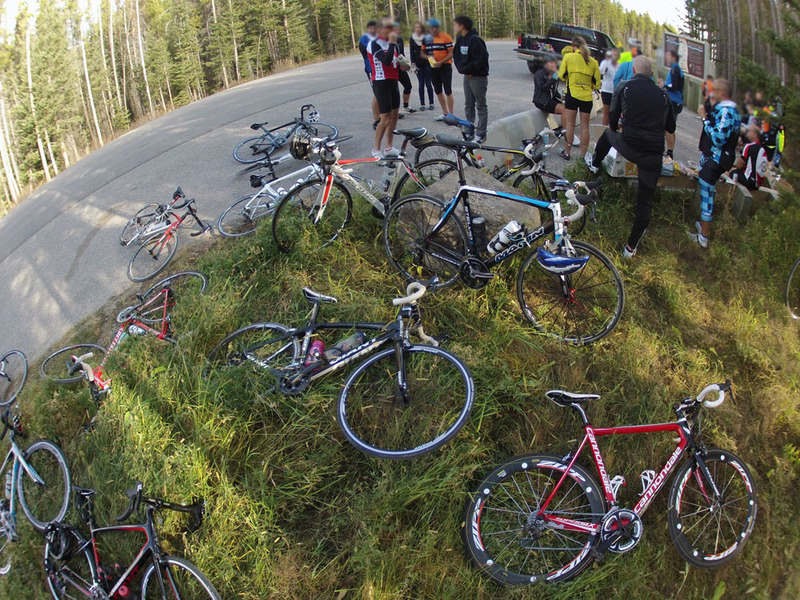 Heres the scene at the turn around point, bikes litter the rest area and the road while everyone fuels up, there was about $80,000 worth of bikes sitting on the ground, not all of them could make it into the picture.